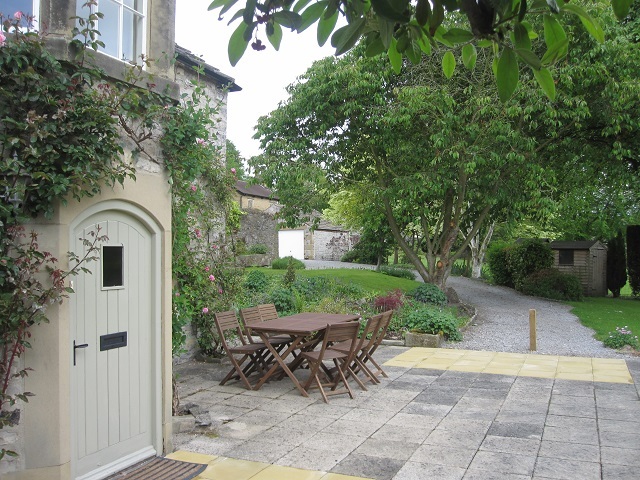 Rookery Cottage is an attractive period cottage, located in the charming village of Ashford in the Water, 5 minutes from Bakewell and 10 minutes from Chatsworth. The cottage is situated in the grounds of The Rookery, with its own private garden on the banks of the River Wye (the river has been fenced for the security of younger visitors), providing ample space for children to play in. The cottage is peaceful and secluded, offering every opportunity to relax in the grounds, or providing an excellent base from which to go out and explore the Peak District. Fishing is available on request. Originally built as the livery accommodation for the stables at The Rookery, the cottage comfortably sleeps 6 adults, or 6 adults and an additional child in a cot or put- up bed. The main bedroom has an en-suite bathroom and a bay window offers a peaceful view out over the garden and the river. The bedrooms have all been furnished to the highest quality; we believe that a good night's sleep in a comfortable bed is essential to ensuring the success of a holiday! 100% cotton linen, fluffy towels and additional blankets for cold nights are standard; anti-allergy pillows and duvets are available on request.